Eligibility: Open to Potomac Valley Swimming registered athletes age 13 & Over as of the first day of the meet. Inclusion Policy for Swimmers with a Disability PVS and host clubs along with their Meet Directors are committed to the Inclusion Policy as adopted by the BOD . Athletes with a disability are welcomed and are asked to provide advance notice of desired accommodations to the Meet Director and PVS Senior Chairman, Riley Eaton at jreaton@verizon.net. The athlete (or the athlete’s coach) is also responsible for notifying the session referee of any disability prior to the competition. Positive Check In: Check-in schedule will be announced once entries have been received. Swimmers who do not check-in will be scratched from that event. Athletes who have checked in, have been seeded, and fail to swim the event will be barred from their next scheduled individual event. 800/1500 Freestyle: The 800 and 1500 M Freestyle will be swum Fast to Slow and alternating Women and Men. Swimmers are responsible for providing their own lap counter (optional) and timer (required.) 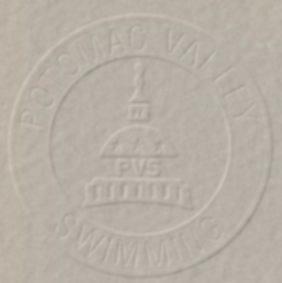 Swimmers in Thursday's events may swim as part of PVS Senior Champs -- seeded after those swimmers. Late Entries/ Time Trial: No late (deck) entries will be accepted. Timers: Participating clubs are required to provide timers in proportion to their entries. The meet director will determine the number of timers per club and lane assignments. The host club(s) are required to provide one timer per lane. Admission Programs: There is no admission charge. Program for all sessions will be available for $4.50. Fees: Fees for individual events are $5.00.